Yeah, I know. I haven't blogged in a while. I've been kinda busy. Okay, that's a lie...I've been incredibly busy! I have not been home before 8pm ANY DAY this week! And I'm not complaining, just commenting on my busy-ness lately. What's been keeping my time so occupied is my job. HOWEVER, I love my job. I don't think I've ever worked so hard in my life, and I love that. I'm in a position and at a place that I'm so happy at, and I'm willing to do whatever (including staying 5 hours after school!) I can to make myself a better teacher and member of this school community. This week has been extra intense because of state testing...but let me tell you something, our kids here at the middle school are CHAMPS. They have worked so hard this week and I know when we get the scores back it's going to pay off. 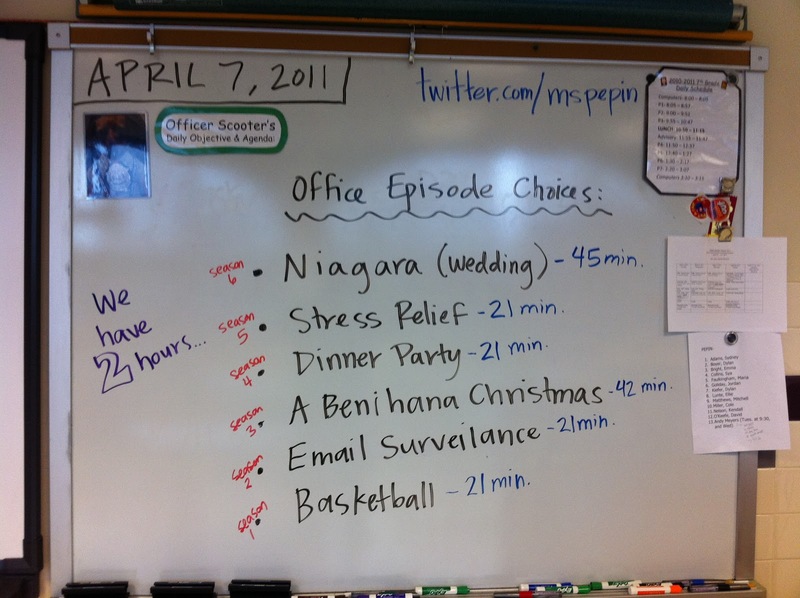 Since we have them test all morning, we like to give them a little relaxation and free time in the afternoon to chill...and yesterday I gave them a special treat by hosting an Office viewing party in my room after lunch. 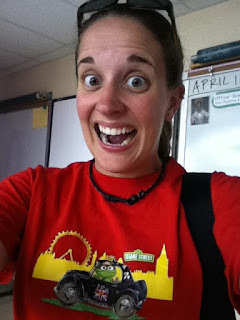 Today we wrapped up the final state tests (woo hoo!) 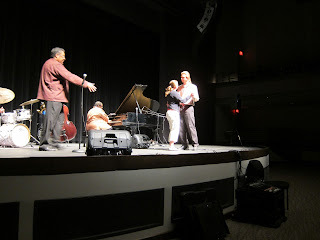 and were treated to a jazz concert...and good ol' Ms. Pepin was corralled on stage to "slow dance" with a high school teacher to a smooth jazz ballad. Did I mention today was "Five Finger Friday" as well?! 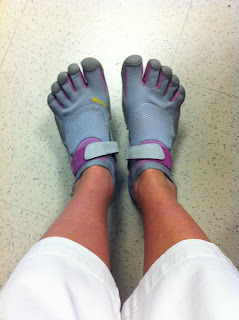 No no, it wasn't a theft-encouraging day, but a "wear you five finger shoes by Vibrams!" to school day. So naturally I did, along with capri pants and a red Muppets shirt (I probably looked like I was 12) with my five finger shoes. Needless to say, I was completely mortified and embarrassed. Yet, I wouldn't trade the experience for anything...it's definitely something when your students are cheering for you and shouting your name, then act all concerned if my fiancé is going to be mad that I danced with someone else or if he's going to "shoot" him. 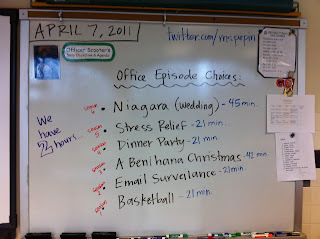 Ah, the joys of teaching 7th graders :) As busy as I am lately, I wouldn't change it or my job for anything. I love what I do and the experiences it brings me on a daily basis.